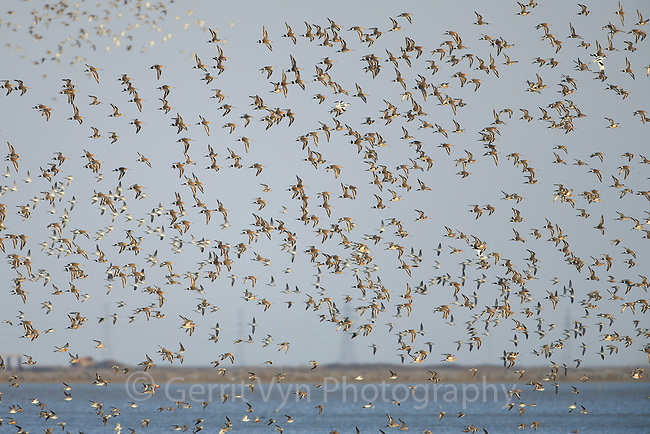 Flock of migratory Black-tailed Godwits (Limosa limosa). Bohai Bay, China. May.